A family-business-turned-into-successful venture in modern egg farming, Hock Soon Farm is a comprehensive complex that combines overall office, feed-milling and state of the art egg-grading and poultry rearing facilities. We are a team of close-knitted community under one roof dedicated in the making of freshest, tastiest, best-selling eggs to meet the needs of all Malaysians in the country. Our staff force and management work hand-in-hand in commitment towards a continuous endeavor to upgrade Quality and strive for Excellence in our production. 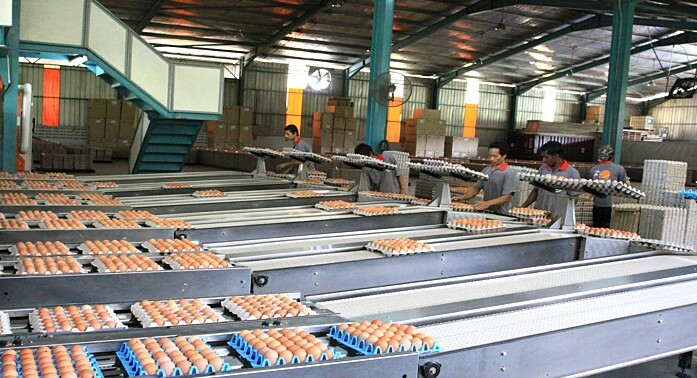 Together, we aim to be the leader in the production of table eggs in the layer industry in Malaysia and the region.